A defiant sounding WBO junior middleweight champion Miguel Cotto (41-5, 33 KOs) has bristled with the repeated criticism from the boxing media for him selecting what many consider a soft touch in welterweight Sadam Ali (25-1, 14 KOs) to end his career on with the two of them fighting on HBO tonight at Madison Square Garden in New York. While this is supposed to be a celebration of Cotto’s career, the boxing media and public still can’t understand why Cotto picked a little known welterweight in Sadam Ali for his last fight. It’s a disappointment to many that Cotto is going on a whimper instead of a bang for his final fight of his 16-year pro career. The boxing fans wanted more from Cotto. At the very least, they wanted to see Cotto fight a quality welterweight if that’s the division he was going to pick from. Ali’s claim to fame is getting knocked out in the 9th round by Jessie Vargas last year. That’s the only name on Ali’s resume, and he imploded in that fight. He was never competitive against Vargas after round 3. In some ways, Cotto is more known for the fights he lost than the guys he beat during his career, because he really didn’t beat a lot of talented fighters in the prime of their careers. 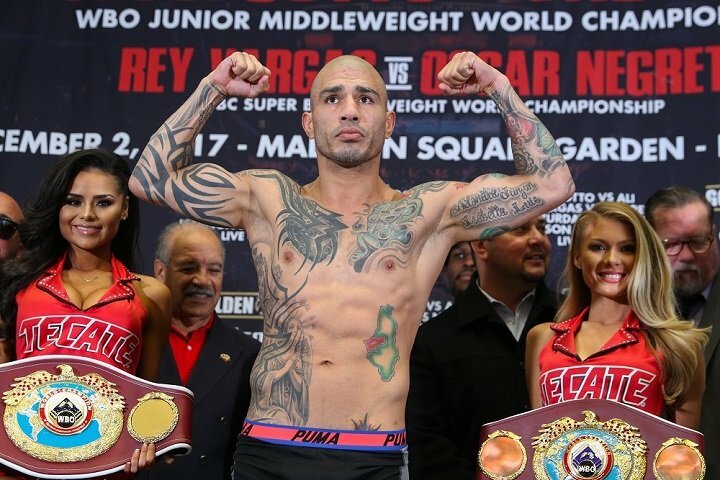 Cotto beat a lot of B-level guys for the most part, and some of them weren’t always in the best shape physically. Yuri Foreman is an example of that. He fought Cotto with a bad knee. Cotto was good at giving the quality fighters a good tussle in losing to them. All those fights were competitive ones with Cotto fighting hard, but ultimately losing the fights. Cotto is right about him ending his boxing career on his terms. Unfortunately, that’s code language for him ending his career with a soft touch. It’s too bad Cotto didn’t dare to be great for his final fight instead of taking an easy mark in Sadam Ali.